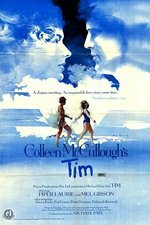 Tim is a 1979 Australian romantic drama, written and directed by Michael Pate, based on the 1974 novel by Colleen McCullough. A middle-class American woman, played by Piper Laurie, employs a developmentally impaired 24-year-old gardener (Mel Gibson). The movie scene - "a marvellous and sadly under-rated movie"
Vince Canby, The New York Times - "Considering the patent sillinesses of the material, Miss Laurie and Mr. Gibson do very well, and the supporting performers, especially Mr. Kurts, are fine. " Huh, Mel Gibson's full name is Mel Columcille Gerard Gibson. I never knew that.